Looking to learn from the Valley’s most influential female leaders? Join GPCC on Tuesday, Jan. 9 to hear from Susan Anable, Cox Communications; Wendy Briggs, Veridus LLC ; Sharon Harper, The Plaza Companies; and Karrin Taylor Robson, Arizona Strategies. These women gather from different industries to discuss how they have challenged the status quo and perfected the art of influencing for success. 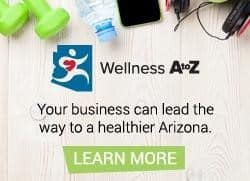 The Greater Phoenix Chamber Foundation (GPCF) in partnership with the City of Phoenix ARIZONA@WORK office is expanding the Series 7 training model for a new group of qualified candidates. This job-readiness program will prepare individuals to pass the Series 7 License exam, a requirement for many financial services careers, including financial services advisors and analysts. Motivated people ready to maximize their potential are invited to join us on Tuesday, Jan. 9 or Wednesday, Jan. 10 to learn about preparing to successfully pass the Series 7 the first time and to explore if they qualify for tuition funding. The 2018 legislative session begins on Monday, Jan. 8. The GPCC Public Affairs team will be at the state capitol as the voice of business in Phoenix. By continually advocating for pro-growth policies, GPCC fosters an economic climate that is focused on business retention and expansion. Every year, GPCC rings in each new session with the Legislative Kick-Off Reception. This year’s reception will be on Thursday, Jan. 11. Join GPCC at the Phoenix Art Museum for our largest networking reception of the year. Lawmakers and the business community will enjoy cocktails and get a sneak peek at this year’s top legislative issues as we honor the start of the Second Regular Session of Arizona’s 53rd Legislature.